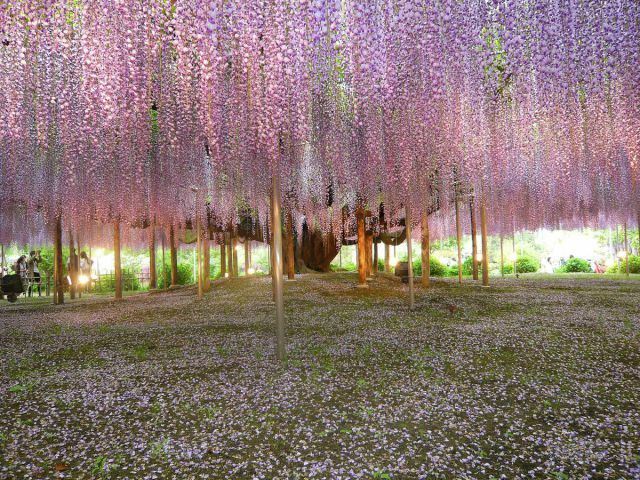 This is the largest wisteria in in Ashikaga Flower Park, Tochigi Prefecture, Japan. It is dated to c. 1870 and spreads to cover approximately 1,990 square meters (a half acre) as of May 2008. That's what I call Wisteria !!!! What kind of cold hearted bum wouldn't like such a gorgeous picture? Shiver me tiemrbs, them's some great information.